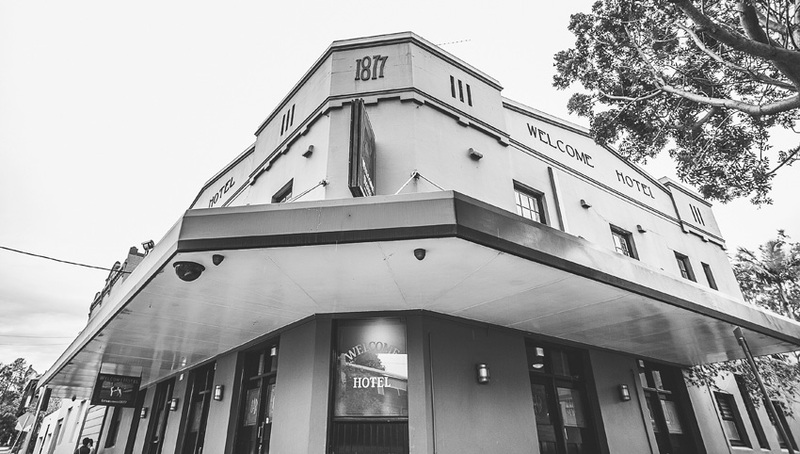 Rozelle landmark the Welcome Hotel has been forced to close its long-standing beer garden BBQ after a complaint about the smell and smoke reached sympathetic ears. Liam O’Keeffe purchased the 1877 pub in 2013, taking over a classic community local of the Balmain peninsula, including an existing smoker being used outside. 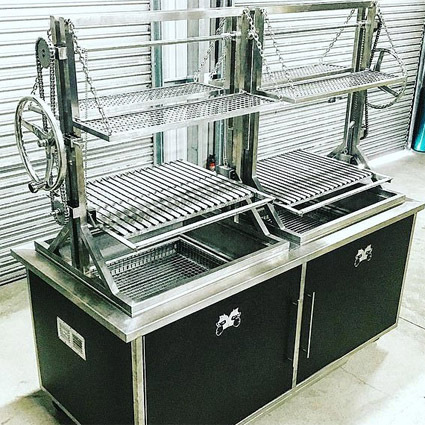 In 2017 they bought a new charcoal grill, offering a selection of roasted specialty dishes. Last November the Inner West Council came investigating as a result of “at least one” complaint about the cooking odours and exhaust emanating from the pub. An inspector was sent to the Welcome, and while no breaches were found, it was verbally requested that he close down the BBQ, voluntarily. The grill has been generating 40 – 50 per cent of the pub’s revenue on weekend, so O’Keefe needed more. “I said I voluntarily choose not to. You need to come up with better than this,” he says. As a compromise, he removed some of the more aromatic items from the menu, including the seafood, leaving just chicken and corn on the cob. 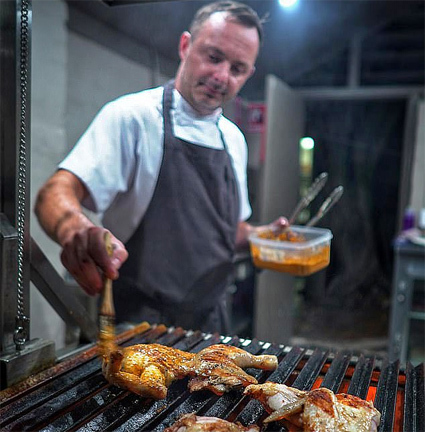 He also reduced the BBQ operation’s hours significantly, to eight hours on Saturdays and Sunday, and just three hours Friday night. A couple more weeks passed, then on 29 March O’Keefe received notice from Council that the BBQ must be shut down by 3 April, or face fines of $8,000 per day thereafter. The Notice said the “nature, intensity, duration, frequency, and volume” of “excessive smoke and odour” amounted to “air pollution” according to environmental protection laws. “The operation of the charcoal barbecue has the potential to negatively affect the amenity of neighbouring residential premises and the environment. The nearest residence was until recently tenanted by people who frequented the pub. O’Keefe responded to the Notice requesting more information, but reports he is still waiting. Instead, Council has told him he needs to submit a planning structure and DA on how the problem can be managed. This request was sadly reminiscent of another interaction, where application was made to use an upstairs room as private dining for ten people. After four years of legal back-and-forth, traffic surveys and “huge expense”, it was deemed ‘over-intensification of premises’ and he reluctantly abandoned the idea. Getting no joy from Council, O’Keefe contacted Mayor Darcy Byrne, requesting a meeting to discuss what appears to be a grossly unjust instance of over-regulation in the precinct. At time of publication the hotel owner was still awaiting reply from the mayor on the meeting. Byrne has previously pledged support for the oft burdened pubs in the area, lamenting the closure of the Town Hall and Exchange Hotels. 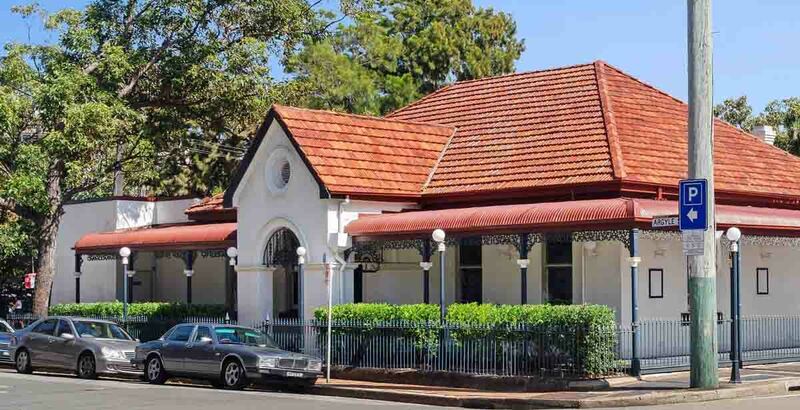 At the former Leichhardt Council he championed a policy whereby Council acted as conduit to a peaceful resolution between publicans and complainants, rather than “getting the lawyers” involved. No longer operating the popular BBQ and with few avenues left available, O’Keefe is reaching out for support from patrons and industry, starting a petition on Change.org. “I’ve tried to do other things with the business,” he explains. Why do these stupid people choose to live near a pub if they don’t like smoke, noise or whatever. We owned the Lord Dudley in Paddington years ago. We introduced a jazz band along the way which was an incredible success, but it didn’t take long for the some of the neighbours to complain so we were forced to disband it. These people are so infuriating. Keep your chin up Liam. Isn’t it infuriating? To close the grill which not only created amazing memories and fun times it’s often what bought friends and families together for momentous occasions . The gentrified neighbours will never change Liam – people will sob as the inner city character filled pubs close as they choke out the music entertainment and can you bloody believe it a BBQ !!!!! The Government continues to tax us out of selling beer and tax the customer away from a schooner of beer and GP on food and beverage has never been lower – the publican gets choked along with it and then people bemoan the loss of heritage pubs like yours and complain that publicans run gaming rooms and tab agencies , ………..without drawing too long a bow as kids my generation went to the pub had a few drinks and saw bands – it was affordable , now kids go to music festivals and take drugs – government local and state have killed off the food and beverage style pub and the outcome of many of these rave festivals is well documented . State and Local government should be supporting cultural and heritage business like yours not sending them down the drain !!!! Good luck with The Welcome don’t give up !!!!! !